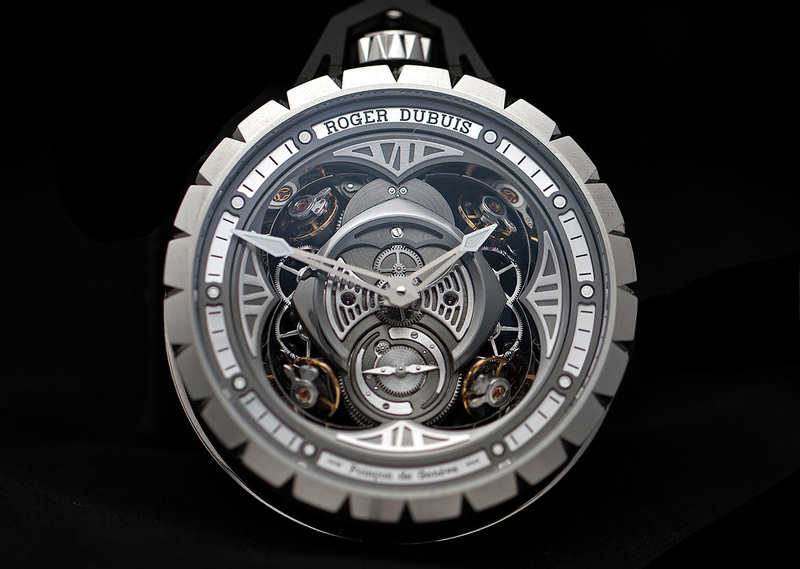 Roger Dubuis has introduced the Excalibur Spider Pocket Time Instrument. 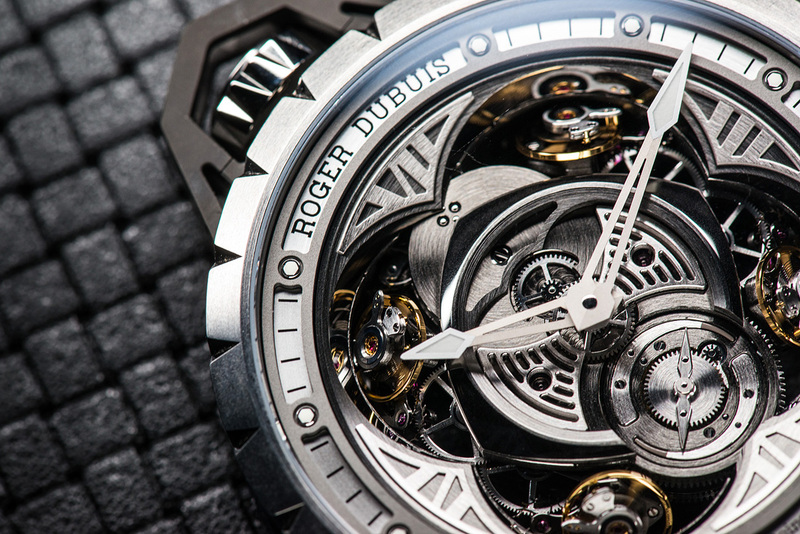 Roger Dubuis has decided to claim a piece of the action, and has taken the insane calibre RD101 found inside the Excalibur Quatuor 16Hz wristwatch, flipped it 90 degrees counterclockwise and re-cased it inside an enormous titanium pocket watch. The result is a symmetrical dial, with the dual power reserve sitting squarely at 6 o’clock, surrounded by four sprung balances in each corner of the watch. The balance they provide, mechanically and aesthetically, is very easy on the eye. Of course, the Pocket Time Instrument is much larger than the original wristwatch, although it is still surprisingly light thanks to its titanium construction. Even the chain is made from this lightweight material. The pocket watch features hours and minutes and a power-reserve indicator. One of only few totally integrated manufactures, Roger Dubuis has built and decorated all the 590 components of the in-house calibre RD101 by hand. The hand-wound movement provides the watch with 40 hours of power reserve when fully wound. This technical feat, highly representative of the brand’s modernist tendencies, is in contrast with the theatrical Roman numerals, and breaks all archetypes surrounding the pocket watch. The Excalibur Spider Pocket Time Instrument is limited to just 28 pieces worldwide and is priced at $468,500. And also you can check other black men’s watches.